Please fill out the form below to have Bridal Aisle contact you with more information! Bridal Aisle wants to flatter you, the bride and wedding couple, while fitting your budget. You don’t have to pay full price in this area to get “the” dress or the look for the reception that you desire. We understand this step is of utmost importance. 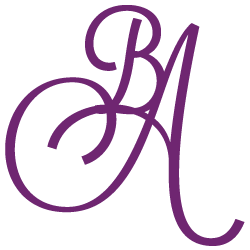 We are on a mission to become Central Minnesota’s neighborhood bridal consignment boutique specializing in bridal gown and decorations on consignment. We are passionate about all things wedding and even more passionate about being creative! We want to create an environment that will motivate and inspire everyone. We believe that every dress has potential whether it’s in its current condition or making a few alterations to create an entirely new design. We will also help you create that perfect look and atmosphere for your reception at a price you won’t believe. We understand how important that is to you! Bridal Aisle offers new and nearly new bridal apparel and accessories. We offer dresses and bridal accessories from some of today’s most well known designers. You do not have to settle for a dress that is less than what you want with our prices, which are 40-60% below retail. Think about all those wedding details you thought you were going to have to skimp on – buying your dress with us will free up your wedding budget to accomplish more. Not only can you feel great about all the money you are saving, you can be proud of your eco-friendly shopping or take your dream honeymoon. When you have finished celebrating your special day, bring it back and recoup some of what you spent, so you can move on to more fun in your new journey! Bridal Aisle Wedding Consignment features new and pre-owned bridal dresses priced at 40-60% off of retail, mother of the bride dresses, and bridesmaid dresses all priced at 40-60% off of retail as well as any decorative items that could be used at a wedding or ceremony such as centerpieces, flowers, tulle, table runners, vases, garters, table numbers, wedding shoes, ribbons, veils, ceremony decorations, etc. It’s a great way to recoup the costs of your big day and to help someone else enjoy their big day on a reasonable budget. *Please note if you are or have a young lady in high school, we are also offering previously used Homecoming and Prom attire. Young ladies can recoup some of their costs for their special high school memories while making room for more in their closet, as Bridal Aisle will help them sell previously used dresses. Our inventory covers a broad range of bridal designers and is always changing. Dresses are carefully examined and professionally cleaned before being offered for sale. Our dresses range in size and we have altering services available. What type of bridal attire or decorations are you searching for?